A new Red Cross education programme is building resilience among school children,making them better able to prepare for and cope with disasters. On the first day of the virtual field trip, students visited the Wall of Waiau which was formed during the November 2016 earthquake. Dr Kate Pedley stands on what used to be relatively flat ground. In front of her towers 3.5 metres of solid rock and earth. This is the Wall of Waiau, a scar from the November 2016 earthquakes that can be found two hours north of Christchurch on Woodchester Station. Today 1300 students from across Aotearoa have joined Dr Pedley –from the University of Canterbury – and the LEARNZ team as they explain how the earthquake changed the landscape of the upper South Island within seconds. The students haven’t descended on Woodchester Farm though, instead they’re tuning in remotely from their classroom for the first day of the Kia Pakari virtual field trip ‘Adapting After Emergencies – Lessons from Kaikōura and Hurunui’. The virtual field trip is aimed at intermediate students and has been developed by New Zealand Red Cross and LEARNZ. Over the course of three days it teaches students about the science behind earthquakes, shares firsthand accounts of what being in a major emergency is like and looks at how communities recover after a disaster. Children from Kaikōura Suburban School told field trip participants how the earthquake had impacted their lives. The virtual field trip forms part of New Zealand Red Cross’ Kia Pakari: Schools’ Resilience Programme which empowers young people so they’re equipped to handle adversity. Along with learning from the experts, students are also able to hear from kids their own age about how a major emergency has changed their life. 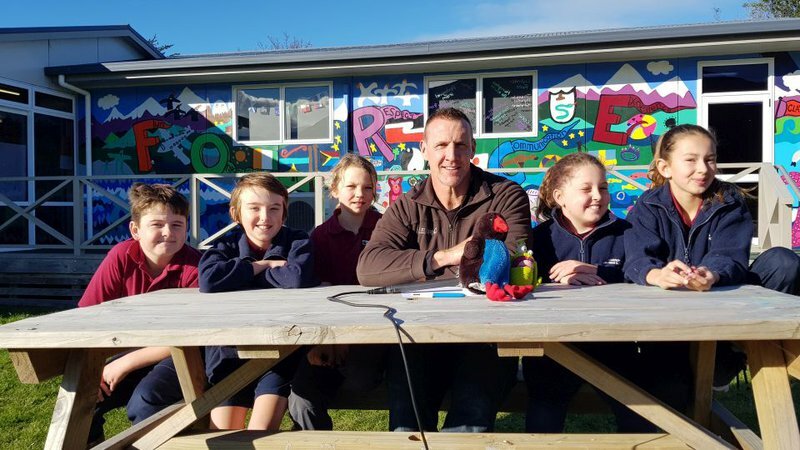 “Ever since the November earthquake it’s been really stressful with the house rebuilds and that, it’s been really hard,” says Jade, a student at Kaikōura Suburban School who the virtual field trip participants meet on the second day. “The bus ride [to school] has been taking a bit longer because of the roadworks and it took a couple of weeks [following the earthquake] for the school to be ready for students again,” adds Amelia. By the time the two of them were able to return to school, there had been a change in their classmates with some students having to leave town because of the earthquake and some new ones arriving. It’s stories like these that are helping students participating in the virtual field trip think about how they could prepare for an emergency and get them used to the idea that things may change following a major disaster. Kia Pakari is enabling kids to become leaders in their community, to help their local whānau be better prepared for disasters. Head to our Kia Pakari page to find out more about how we're working with schools to build resilience among students.